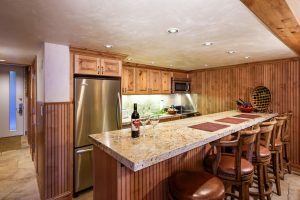 New listings in the Aspen Real Estate Market | Aspen Snowmass Real Estate :: McKinley Real Estate Sales, Inc. Located just 2 blocks from the gondola, yet still in a quiet neighborhood! The perfect place to relax and regroup after a day on the slopes – snuggle up in front of the fireplace, have cocktails on the private deck, or take a dip in the complex’s heated pool. This single-floor condo is at ground level,with no stairs from the off-street parking area. This ski in-ski out town home is located off Fanny Hill and Adams Avenue on the Snowmass Ski Area. This two level home features the master and ensuite guest bedroom upstairs, and an open layout on the main floor. The Woodrun V complex has a heated outdoor pool and hot tubs to recharge after a day on the slopes. The onsite management is complete with valet parking.